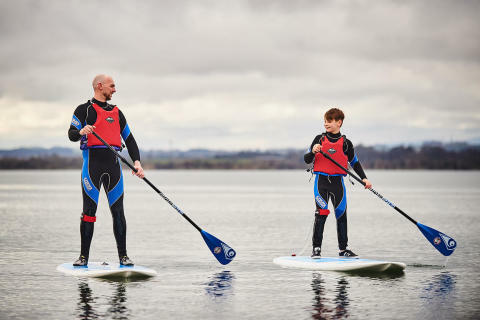 Food and drink, adventure activities and creative and design experiences could all help grow tourism in the East of Scotland in the next five years, that’s what attendees at a leading industry conference heard yesterday (19 March). Over 200 delegates attended the first ever Tay Cities Regional Tourism Conference at Dundee Rep Theatre organised by the four local authorities of Dundee, Angus, Fife and Perth & Kinross. 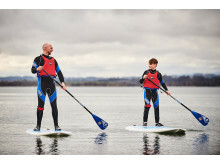 The event was also supported by Scottish Enterprise and VisitScotland and part of Scottish Tourism Month 2019 and aimed to look at the future of tourism over the next five years. Delegates heard from a series of industry experts within each of the three key themes, before learning about exciting new tourism products. Seven local businesses also shared their experiences of attracting new markets and growing the region’s vital tourism sector. Guest speakers included: Peter Jordan, Head of Insights at Toposophy, food tourism expert John Mulcahy from Ireland, Caroline Couret, Founder of the Creative Tourism Network and Carron Tobin, Development Manager for Argyll & The Isles Tourism Cooperative. It’s been six months since V&A Dundee opened its doors, the internationally acclaimed attraction has garnered global media interest and shone a spotlight on the wider Tay Country region. Last year also saw Carnoustie welcome the 147th Open while Perth & Kinross will also play host to the Solheim Cup in September - the most prestigious event in women’s golf. The conference aimed to bring together those working within the Tay region, encouraging the industry to work together to realise a strategy which will help grow tourism in the coming years. 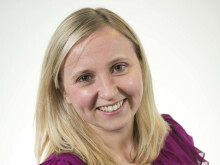 Caroline Warburton, VisitScotland Regional Leadership Director, said: “The East of Scotland has many of the attributes that people come to Scotland for; rich history, stunning landscapes and vibrant culture. Whilst these are all an integral part of the tourism mix if we want to continue growing tourism within the Tay Cities region it is important we capitalise on our other strengths too, offering experiences unique to this area to help attract new visitors and welcome back returning ones. Danny Cusick, Scottish Enterprise Senior Director Food & Drink, Tourism and Textiles, said: “This is a tremendously exciting time for tourism in the Tay City Region. Scottish Enterprise is working closely with our regional partners supporting existing and new businesses to innovate, create growth and tap into the increasing variety of travellers discovering the area.